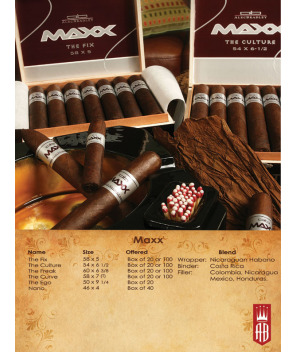 Our MAXX line that was created in response to the demand for bigger and bolder, Alec Bradley takes it to the max by introducing MAXX. 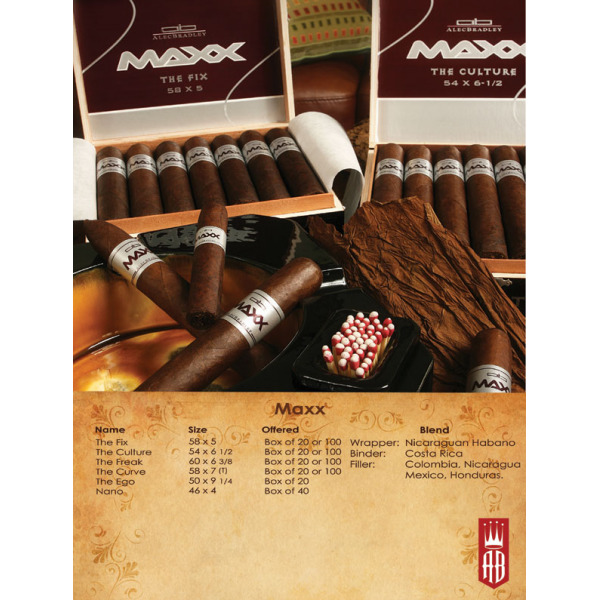 Our MAXX line that was created in response to the demand for bigger and bolder, Alec Bradley takes it to the max by introducing MAXX. 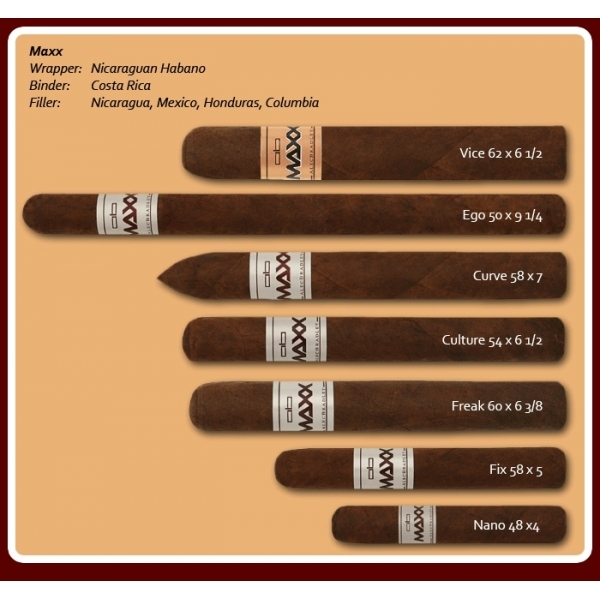 Five sizes were developed to satisfy your quest for complete smoking satisfaction. When you're jonesing for the hit of tobacco pleasure, we recommend The Fix. When you need to conform to society, may we suggest The Culture. When it's all about you, spend some time with The Freak. When it's all about the feel, experience The Curve and when "life is good" and you want to take it all in, we all know it's about The Ego. A combination of top primings that complement each other and combine to give you a full and complex flavor. The box is fresh, the blend is bold and the sizes are aching' to be nubbed.